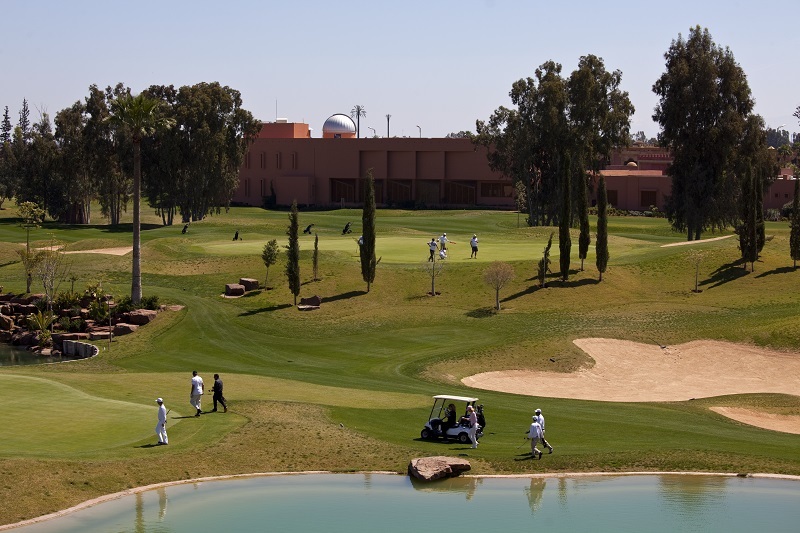 Situated at the foot of the Atlas Mountains and just a short drive from Marrakech Menara International Airport, Atlas Golf Marrakech boasts a lovely 9 hole golf course as well as fantastic on-site facilities including a lavish spa; perfect for cooling off and unwinding after a day on the fairways, as well as a number of restaurants, bars and lounges where golfers can refuel and relax after a day under the Moroccan sun. 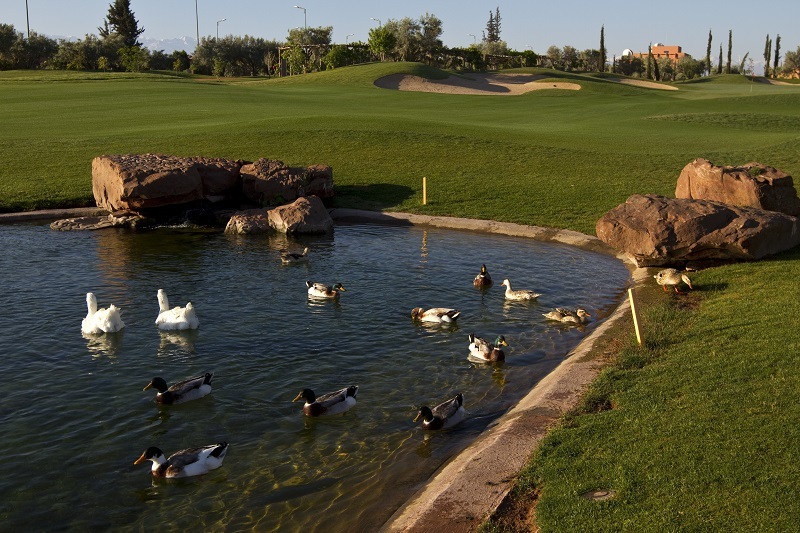 The course has an aspect similar to a botanical garden and is very well maintained and manicured. 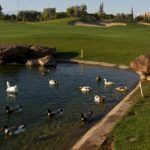 You will find an interesting mix of testing par threes, including delightful water features requiring accuracy and precision from the tee. 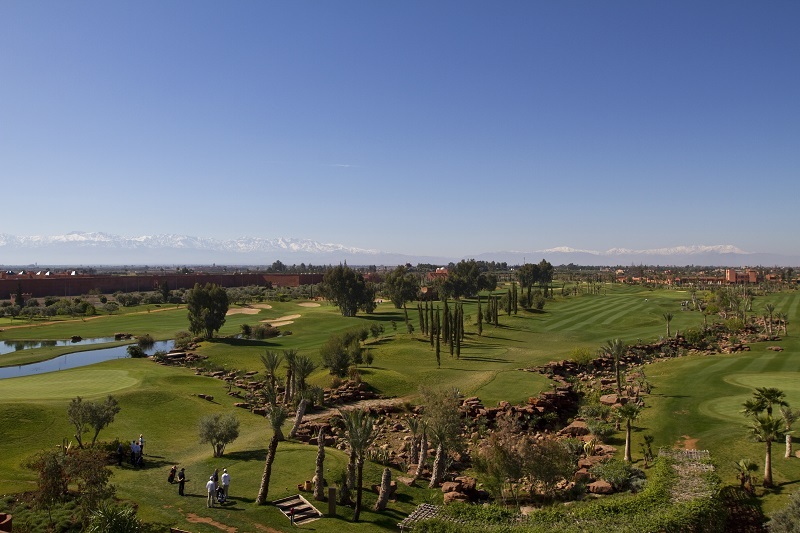 The course has well contoured fairways with some split level greens presenting a challenge to the best putters! 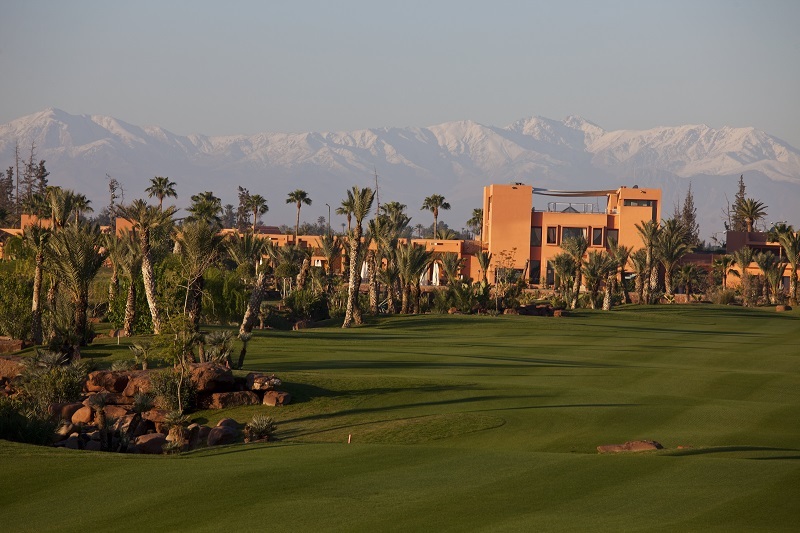 Atlas Golf Marrakech is a pretty course around 10 minutes from the airport. 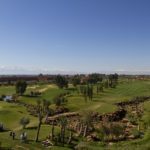 If you arrive on an early flight into Marrakech this is a nice place to have a spot of lunch and play 9 holes of golf, perhaps try out a caddy, before going to your accommodation. We sometimes use it to set/verify handicaps before the serious golf begins!! It’s a very pretty course with fast, challenging greens and a fun way to start the trip with 5 x Par 3’s. 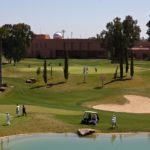 Alternatively 9 holes followed by a massage and lunch before catching a later flight home could be a nice way to finish the trip.